Before from 16-18h, Rebel Up SebCat & Pål/Secam will do a livestream session at Kiosk Radio at the Rebel Up & friends stream, tune in live or via our Facebook page or page of Kiosk Radio! Pål/Secam is an Amsterdam based Dutch/French-British DJ duo, who spread the intercontinental PAN-AMAFROPEANS sound on the local dance floors. Pål/Secam both get bored rather quickly playing just one style of music. This means their sets are infused by the elements of surprise and excitement, in terms of mixing in another genre. Or the same genre, but from another continent. 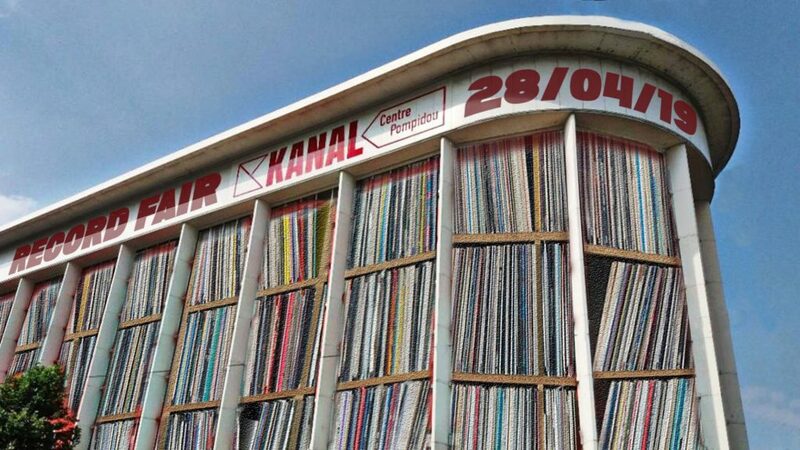 Congolese rumba, oldschool electro, deep dancehall, Cape Verdean Funaná, Surinami Kawina or Kenyan Benga music.. There is no end. This is the PAN-AMAFROPEAN sound, as they like to call it. The two joined forces in 2011 after dj-ing solo for several years. Sharing their interest in music they heard being played on Radio Nova and by dj’s like Theo Parrish, Pål/Secam developed their own style. With a mission to break musical boundaries by creating a diverse colourful pattern that tickles ears and feet. Pål/Secam combine delicate pre-selection with suspenseful improvisation on the spot. Which makes their vinyl and digital mixing raw, sensitive, startling and overall quite unique. He will surf the global soundwaves from everywhere to neverthere in vinyl & digital global sounds. Rebel Up , NGHE Mediatheque & Drache Musicale present Akuphone label estafette night in Niko Matcha & MIDPOINT CAFE & BAR (neighbour bars), starting in Niko Matcha, afterparty in Midpoint. Akuphone is a french independant label focused on rare global pop and folk music from the early 1950’s to the late 1980’s, led by Cheb Gero (aka Fabrice Gery) and Tinmar (aka Martin Jay), both record collectors. The label is inspired by the need to release music that has not been released before to western audiences. It aims at linking these productions to their historical and political contexts, placing them back in the social and cultural conditions in which they emerged. Akuphone ambitions to promote “hyphenated music” and its diversity without emphasizing such ambiguous notions as intermixing and hybridity, which can be considered as commonly accepted stances tinted with eurocentrism. Cheb Gero is a collector and a music enthusiast. After being a record dealer for many years, he launched the Akuphone label in an “archives” spirit and a desire to “explore the world in music”. In an approach to musical archeology, he seeks to highlight the work of artists, musicians, singers and singers who, in the so-called Western countries, are ignored or unknown Far from a romantic or fetishist view of extra-Western music, the label’s objective is to articulate these cultural productions with their historical and political context and to re-situate them in their social and cultural conditions of appearance.